How did you first get involved with track and XC? Do you do, or have you done, any other sports? I've always loved running. My mom signed me up for our middle school xc and track teams in 6th grade, and then in 8th grade was when I switched to the high school team. I also do cross country skiing. I joined that in 8th grade as well. The 2018 season was my first trip to state for track and field, I raced in the 800, 4x400, and 4x800. In the 800, I placed 5th, and our team took 16th in the 4x800 and 12th in the 4x400. The most memorable race I've had is last year's 800 State Prelims. Going into the race, I was seeded near the bottom, but I finished 3rd in my heat and made it to the finals, and I had a seven-second PR! I will always remember that race because I did something I never thought I could do. During the race, I felt unstoppable and that carried over into finals the next day when I took 5th and ran even faster. Who are some of your favorite athletes to compete against (either teammates or from other teams)? Taylor Krone of Anoka has always been one of my favorites to compete against. 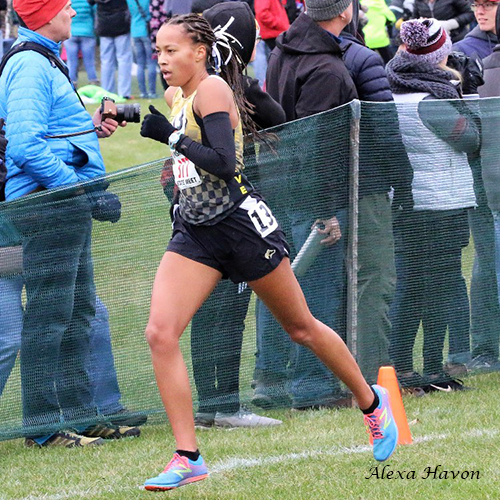 She graduated this last year and is now running at the University of Minnesota. I have known Taylor since I started high school xc and track. Since she is from Anoka I've raced her many times. Emma Atkinson of Wayzata is also an athlete I like to compete with. 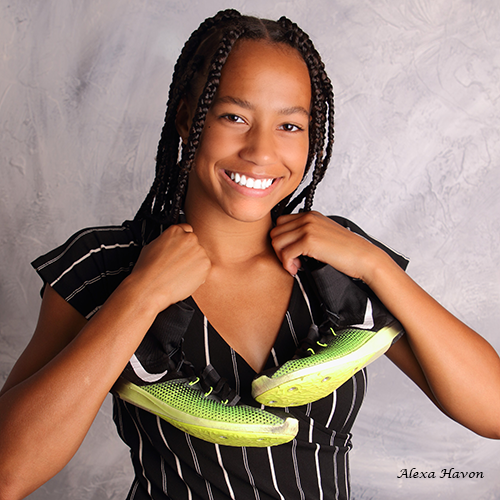 She is an amazing cross country athlete as well as track. She is like me in that she's talented at both the longer xc distances and mid-distance track events. You don't find very many people like that. Since she is the only returning athlete in the 800 that beat me at State, it should be interesting to compete with her this season. Also, my teammate Alyssa Gerth and I push each other a lot in tough workouts, and I love to run with her, but she runs the 3200m in track, so I don't get to race her head-to-head very often. Andover had a great XC season in the fall. What went right for the team to make the season as successful as it was? Andover has been an up-and-coming team for years. This year was when we really put the pieces together to make a phenomenal season. This summer we added on more mileage and harder workouts. I think the biggest thing that made us successful was our team chemistry. The girls on my team are some of my closest friends and we all push each other in the best way. My main goal is to win the 800 meter State title. A secondary goal of mine is to run a qualifying time to be able to race at New Balance Nationals, and I would love it if I could go sub-2:10 too. In addition, I would also like to start running the mile this season as well as the 800. But most of all I want to have fun - this is my last high school season and I want it to be the best it possibly can be. Earlier this school year you committed to run at DePaul. What was the recruiting process like for you, and what ultimately helped make your final decision? The recruiting process was exciting! I got to visit many schools and meets lots of cool people. But when I arrived at DePaul's campus, I got a gut feeling that it was the right place for me. I ultimately committed to DePaul because of the people, and because I really connected with the coach and my future teammates. What are you and your Andover teammates looking forward to the most this year? I would say a big goal for my team would be to make it to True Team State. I have never been there to witness our team making it, so that would be really cool. 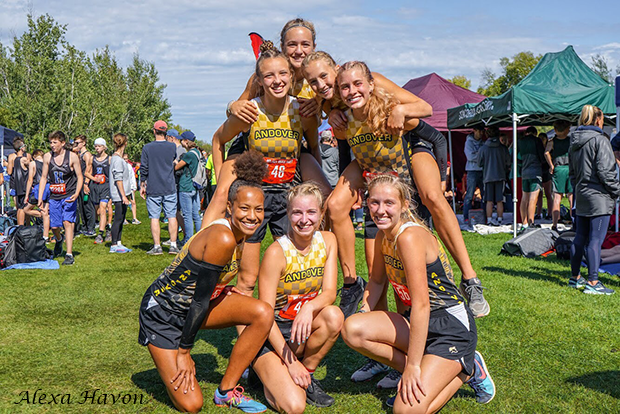 The distance girls are looking forward to putting together an amazing 4x800 team, we made it to State with that team last year which was a big milestone, but this year we will be a lot more experienced and our times have improved a lot. Have confidence! You can do so much more than you think. Also, never give up hard work pays off! I love to listen to music, hang out with friends and lift weights. I also play the cello.